Welcome to ProAdjuster Chiropractic of South Jersey. Would you like to live better, get more out of life, and live your life to the fullest without limitations? Please take a few moments to review our website. It will lead you down the road to discovering how to improve your health and well-being. The Pro-Adjuster is the most advanced Chiropractic analysis and treatment instrument in existence today. With the Pro-Adjuster, our office has built a sterling reputation by delivering results that make a difference. This technological marvel can help you return to a healthier lifestyle. You may no longer have to live with the limitations with a persistent condition. Why live in pain any longer...Let us HELP YOU, just like we have helped so many already! it's exciting to help people reach their health and wellness goals each and every day in our office. By explaining the symptoms, causes, solutions, and treatment, you will learn how to get the most out of life, without limitations, and more importantly, without pain! 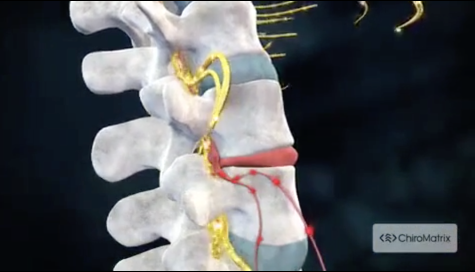 A new technological advancement in Chiropractic care is here. Take advantage of it, take control, and improve the quality of your life. For more information or to schedule an appointment with our Bordentown chiropractor, call (609) 424-3186 today! Dr. Gregory Bader DC is a chiropractor serving Bordentown and the surrounding communities. Our chiropractor and the rest of the friendly team at Proadjuster Chiropractic of South Jersey LLC are dedicated to chiropractic solutions to target your unique needs, whether you are suffering from back pain, neck pain, headaches, or even just plain old muscular tightness and tension. You may need pain relief after suffering an accident, experiencing an injury, or if you have a specific condition such as chronic back pain or a spinal condition; even if you just want to improve your overall health, our chiropractor can help you achieve your wellness goals! Please visit the testimonials page to see what our patients are saying about our Bordentown chiropractor and getting regular chiropractic treatments. At your first visit to Proadjuster Chiropractic of South Jersey LLC, Dr. Gregory Bader DC will explain the science behind how chiropractic care works, and give you a full evaluation to see if chiropractic care is right for you. If there is a good fit, we can develop a plan of chiropractic care that is specific to your condition and health goals. If you are new to seeing a chiropractor and want to find out more, please email us or call (609) 424-3186 to receive personalized answers to your questions from our friendly team. We also welcome referrals, so feel free to use the "Send to a Friend" link located at the bottom of every page to share our health information with your friends and loved ones. Gregory Bader DC uses the most advanced chiropractic techniques to improve the health and wellness in all areas of patient's lives, whether they are having problems with back pain or neck pain, or just want to start feeling better when they wake up in the morning. He truly treats his patients like family. "Dr B you have gotten me out of pain after years of just living with it. Thank you for all you do." "Its just a great experience - you feel great, and I wish I came here 10 years ago. The best doctor and staff around!" "Amazing staff, they really do treat you like family."